An interview with Tings from the End Immigration Detention Network to mark one year since the migrant strike actions by detained immigrants in Ontario and Quebec. September 17, 2014 -- Here is an interview from the September 17th edition of the Daily GRRR! w/ Tings from the End Immigration Detention Network. September 17 marks one year since the migrant strike actions by detained immigrants in Ontario and Quebec. We spoke with Tings about the one-year commemorations of the migrant strike actions, ongoing resistance to harmful immigration policies by Harper's government, and the intersectional analysis on bringing together the diverse social and ecological justice movements. 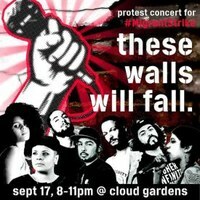 For more information on the #migrantstrike, and to get more information about the solidarity events check: http://endimmigrationdetention.com, http://nooneisillegal.org, and http://truthaboutdetention.com.